Since HTML websites are becoming obsolete, we have migrated onto a WordPress platform. 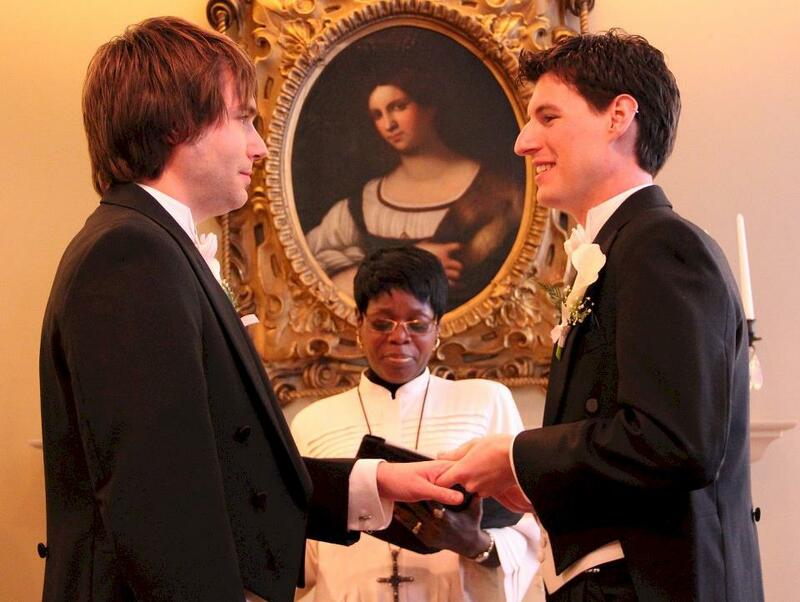 In addition, we have changed our name to The DC Marriage Knot by SJB Ministires LLC. Please join us at The DC Marriage Knot and check out the changes we have made. Congratulations! Taking steps to bond your partnership is the beginning of showing your love and commitment to each other and to the world. It says that, "I have chosen you above all others to spend the rest of my life with." Therefore, I will work with you to create a unique ceremony that reflects your feelings, beliefs, and culture. 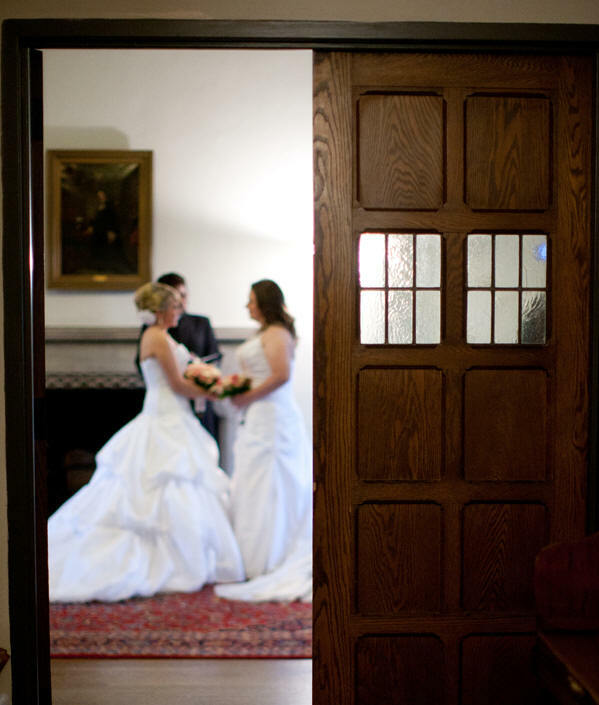 Your ceremony can be: Nondenominational, Christian, Interfaith, Spiritual, or Civil. Commitment Ceremonies and Vow Renewals available. As a Maryland wedding minister with more than 8 years of experience, I am flexible and willing to travel to your wedding site. A site can be a home (in safe communities only), garden, park, banquet hall, country club, ballroom, hotel, restaurant, yacht, etc. Your site can even be the slip where your boat in Annapolis sits or the docks. It can be the shores of the Chesapeake Bay, the Baltimore Harbor, or the Potomac River. No matter where the ceremony is held (waterfront or land), I am registered to perform marriages in Washington DC, Virginia, and New York City. 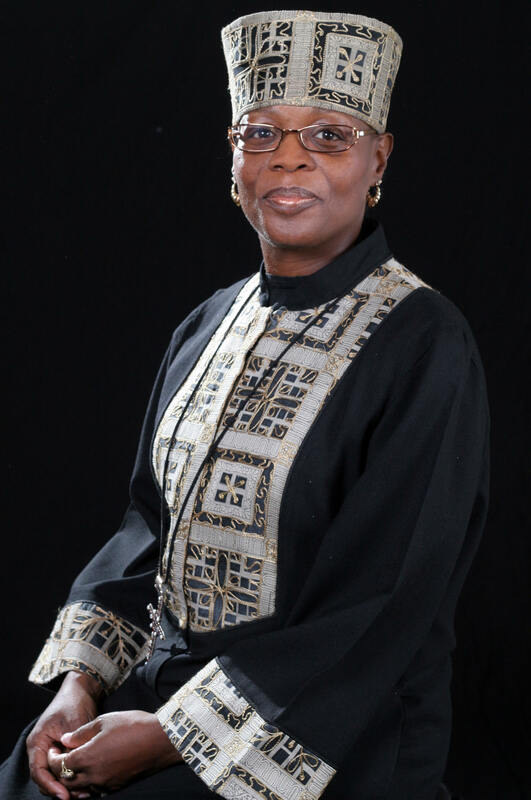 As a license minister at the National Spiritual Science Center (NSSC) in Washington DC, I am authorized to solemnize marriages in Maryland as well. Letting me know where, when, and how to get there; puts me at the right place at the right time. If you are eloping extemporaneously or planning a wedding, please check my availability. You may call or submit the email form. Eloping is one way to reduce the stress and cost of a wedding. If money is an issue for you right now (buying a house more important), advice is coming to you from everywhere, and you feel the need to escape it all; consider eloping in Maryland or Washington DC. Elopement ceremonies can still have that personalized flair. Free ceremony workbook with sample ceremonies and premarital questionnaire available for large, small, and elopement weddings (after services are reserved). Please Note: All ceremonies require a valid marriage license or original marriage certificate (for previously married couples) that must be presented to me prior to my officiating your wedding ceremony. For marriage licensing procedures, please check with the marriage bureau of the circuit court in the jurisdiction in which you are planning to get married. You may also click the above link for more information. The above fees are based on writing and revising the ceremony, traveling to and from the wedding site, rehearsal attendance, wedding party direction and coordination, my time corresponding with you, filing the county marriage license, officiating the ceremony, advertising cost, website hosting, other logistics, and (if applicable) a holiday wedding fee ($60 is added to the base cost). I am, Reverend Starlene Joyner Burns a nondenominational MD wedding minister, wedding celebrant, and MD wedding officiant. In addition, I am the founder and director of SJB Ministries LLC; and the founder of God's Center for Divine Healing. The healing center is dedicated to providing distant healing energy and prayer to those outside the Washington, DC Metropolitan area. After four consecutive years of ministerial study at NSSC of Washington DC (and part of the program), I chose to become an ordained minister. Prior to that, I was ordained in the Christian faith. With more than six years of experience, I am prepared for the responsibility of an interfaith - nondenominational wedding minister. In addition, I received further training in the administration of the holy sacraments, under the direction of a well known master administrator of the rites of passage. I am compassionate, ethical, and professional. As a MD wedding officiant, I will work hard with you to ensure that your wedding ceremony is memorable. 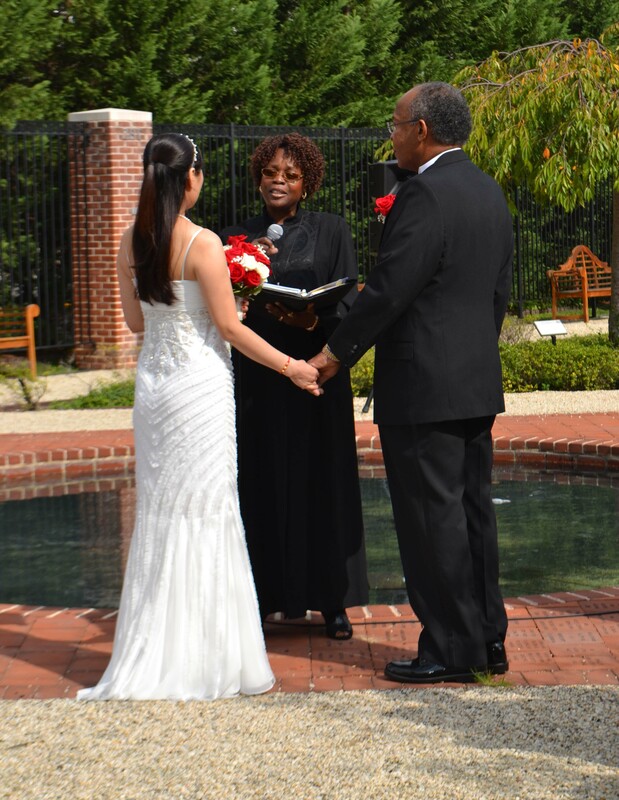 As a licensed minister, I am authorized to perform wedding ceremonies in Maryland. Finally, I am registered in Washington DC, New York City and Virginia to perform marriages. If you are having a Maryland Wedding, DC Wedding, or a Virginia elopement; call me. 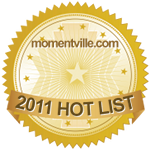 For a list of recommended vendors, please visit the vendors page. The vendors listed on that page are only suggestions to simplify your task. Please feel free to select your own vendor. Meanwhile, visit my article's page and learn how to start your wedding on time. And if you would like to read couples' reviews, kindly click the link above or visit my Wedding Wire page for more. The territory in which I will be offering my services as a traveling wedding minister and wedding officiant are parts of Southern Maryland: Calvert County, St. Mary's County, Charles County; Washington DC Metro: Montgomery County, Prince Georges County; Baltimore: Howard County, Anne Arundel County, Frederick County, Baltimore County, Baltimore City; and beyond: Carroll County, Kent County, Queen Anne's County, MD; Virginia: Arlington County, Fairfax County, City of Alexandria, Loudoun County, Prince William County, and some of Richmond VA.
Premarital coaching is available, but not required. For additional information, kindly click the coaching link at the top of the page. After reserving your wedding date and time with me, you may secure my services with a $100 nonrefundable deposit. This payment can be made by cash, check, or money order. I normally collect this fee at the conclusion of our first meeting (in person or over the phone) or it can be mailed within 5 days of our meeting. The balance is due 60 days prior (check or cash) to your wedding. For short notice weddings, all money is due at the time of booking or an agreed upon time. Once we have agreed on a meeting date and time; kindly confirm it with me the day before or the morning (after 10:00 am) of our meeting. This way I will know that you are sincere about your wedding plans and meeting with me. If I do not hear from you, I will assume that you are no longer interested in my services. All meetings are held at Panera Bread in the Vista Gardens Marketplace: 10531 Martin Luther King Jr. Highway, Bowie, MD 20720. This shopping center is adjacent to my home. And there are times when I hold meetings in my home or via Skype. If you would like to reserve my services at the end of our meeting, you will need a $100 cash deposit. Checks and money orders are also accepted. You may also pay with PayPal. Maryland Wedding Officiants and Maryland Wedding Ministers across the state. Rev. SJ Burns is listed on many websites under: Maryland Officiants, MD Officiant, Maryland Wedding Ministers, MD Wedding Officiants, Baltimore Officiants, DC Officiants, Washington DC Wedding Ministers, Interfaith Wedding Ministers, Nondenominational Wedding Officiants, VA Officiants, Virginia Wedding Ministers, Virginia Celebrants, Justice of the Peace, Marriage Celebrant, and Clergy. She advertised her services on The Knot (MD/DC/VA), The Wedding Channel (Baltimore/DC/Suburban MD), WeddingWire, My Weddings, OneWed, etc. Rev. Burns (your minister on call and resident MD Officiant) loves performing Maryland Weddings, DC Weddings, Baltimore Weddings, Virginia Weddings, Civil Weddings, Interfaith Weddings, Nondenominational Weddings, Nonreligious Weddings, Integrated Weddings, Interracial Weddings, Gay & Lesbian Marriages, Elopements and Washington DC Weddings. She travels up and down the highways from Bowie to Baltimore, Glen Burnie, Columbia, Annapolis, Silver Spring, Gaithersburg, Rockville, Alexandria, Fairfax, Washington, DC parts of Southern Maryland, and Manhattan, NY fulfilling the needs of those who call.